Palooza Brewery and Gastropub is a neighborhood gathering place, a relaxed and friendly environment where wonderfully flavored, thoughtfully sourced food and drinks bring friends and family together. 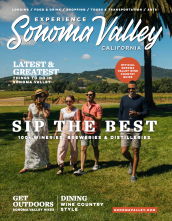 A unique wine country restaurant with 16 craft beers on tap, a great selection of local wine, and fun events for the Valley. We are now brewing our own beer and serving a full bar featuring hand crafted cocktails made with local distilled spirits. The proceeds of our first tank will go to the fire victims, Kenwood Fire Association. 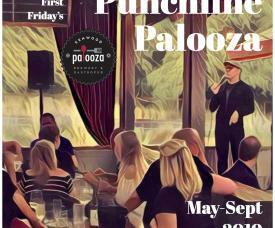 There is a lot to do at Palooza Gastropub and Wine Bar! Daily ping pong, weekly tournaments on Tuesdays at 6:30. Dart boards and a pool table. Check out our kid and dog friendly patio, and the giant Jenga. We now have a Pizza Oven!! Pizza 7 days a week! Oysters Thursday at 4 through Sunday. And we now have the upstairs loft ready for your next party! The loft has seating for 25, four beer taps, a large screen TV and a pool table. Reserve our upstairs loft or outdoor patio for your next special event, office party, birthday party or rehearsal dinner. Happy Hour M-F 3:00 - 6:00 with special happy hour menu!